Making Star Wars stuff is cool. I’ve made the DeathStar before, so I won’t bore you with the details. 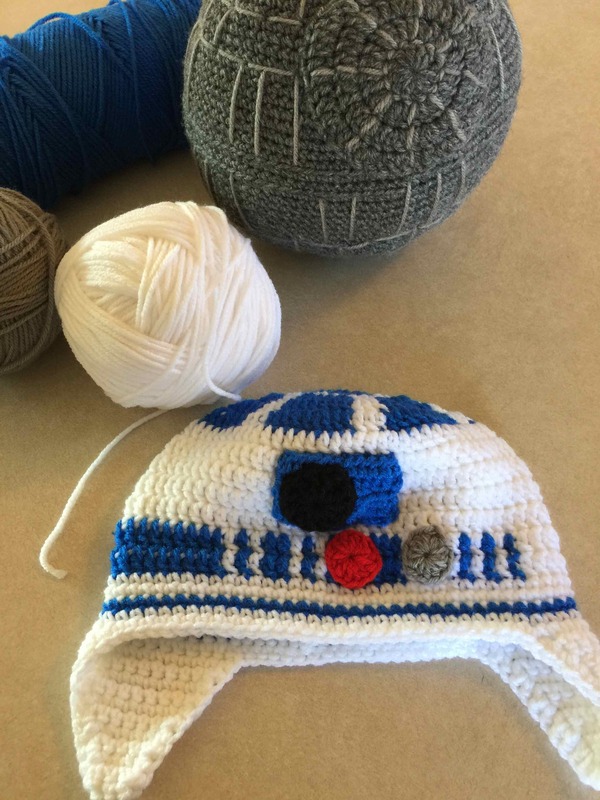 But the R2D2 hat was awesome fun to make. I googled it & I found several free patterns, several paid patterns, and more movie shot images than you would believe for a make-believe robot. In the end, I made it up as I went along with bits and pieces of ideas from all over and I love the outcome. Photos don’t do it justice. 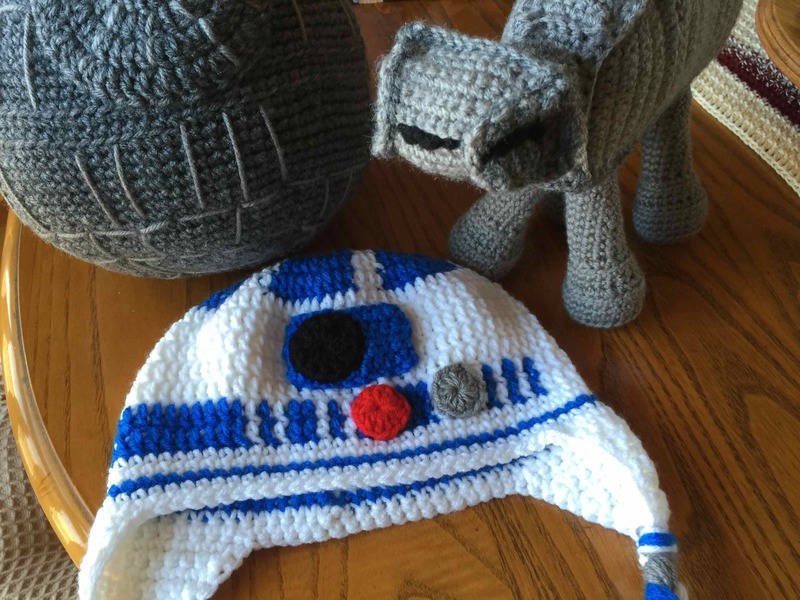 I will look so freakin adorable on my friend’s little boy! I’m the first to say I love amigurumi stuff. I am also the first to say I will not make the AT-AT toy again. Nearly 10 hours to finish that little guy. Great pattern ~ but not fun. I need fun patterns in my life, it kind of makes the world go ’round for me. And those smiles make it all worthwhile, I have done my job today. Happy weekend Jane! You are the best kind of crazy! Love all of it! Making it up as you go is always fun. I love those projects the most. They DO tend to be the most enjoyable 🙂 Thanks for stopping by!